Add Access & Safety to Your Car | Wheel Chair Lifts Installed by the Experts at RampNow! We all have that one truck that we love! 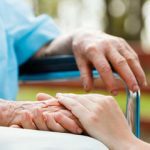 Most of us don’t want to give that up so it can be more accessible. Now you don’t have to! Keep driving the truck you love and make it accessible for a fraction of the cost of what it would cost to do a full vehicle conversion. 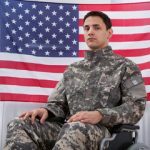 If you’re one of the millions of Americans who need a little extra help with mobility, you likely have some type of mobility assistance device. 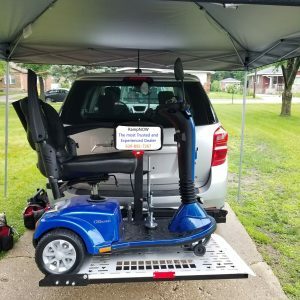 It doesn’t matter if it’s a wheelchair, scooter, power chair, or anything that’s a bit larger than your standard cane or walker… you’re going to need somewhere to store it when you’re driving around in your vehicle. RampNow offers both interior and exterior lifts to help you with all of your storage needs! This is perfect if you drive a small or compact car that you absolutely love, and don’t want to give that up. Since interior lifts just aren’t going to cut it, we’ve completely redesigned the traditional lift to work on the exterior of your vehicle. Previously, you’d have to choose between getting a new car with a pre-installed lift, haul around a trailer, or spend a fortune to perform a full vehicle conversion. Not any more. 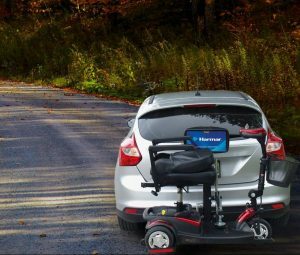 Gone are the days of having to choose between your mobility assisted device and your dream car. With RampNow, you can have both! Our exterior lifts are easy, accessible, and a fraction of the cost of other companies. 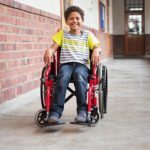 Each one is also factory tested and proven to easily facilitate all makes and models of scooters, power chairs, wheelchairs, and more. This factory level strength is combined with easy-to-operate technology to accommodate each and every one of our customers. RampNow’s exterior lift uses a controlled platform attached to the backend of your car to make transitioning easy. After installation, operation is as easy as 1-2-3. First, use the pre-installed buttons to lower your lift to the ground. Once the lift has lowered to the ground, all you need to do is drive your power chair, wheelchair, scooter, or other mobility device straight onto the ramp’s platform. Finally, after dismounting, press the button and that’s it. Our exterior lifts do all of the heavy work for you. We have tons of different options to choose from and all of our makes and models come equipped with an arm that ensures your mobility device is 100% secure on the rear of your car in the lift. 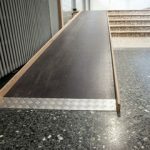 Depending on your vehicle and specific mobility device, our team of ramp experts will help you find something to compliment your needs perfectly. If you’re ready to make the transition into an easier, more mobile lifestyle today, fill out the form below. Our customer service team is happy to help you find the perfect exterior vehicle lift for your vehicle. If you aren’t quite sure if installing a professional grade exterior lift is the right solution for you, head on over to our testimonials page. We have thousands of satisfied customers that have given their real-world feedback on how RampNow’s vehicle lifts have changed their lives for the better. We promise you’ll love your exterior lift so get started today by filling out the form with your vehicle details. 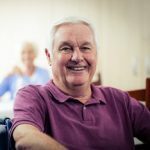 One of our representatives will you give a call to discuss any and all available options for your specific circumstances. It’s no wonder RampNow is Chicagoland’s most trusted and experienced ramp dealer. The Process is SIMPLE! You fill out the form and we call you with different options! I love your portable ramp rental service. You made my home accessible for the Holidays.